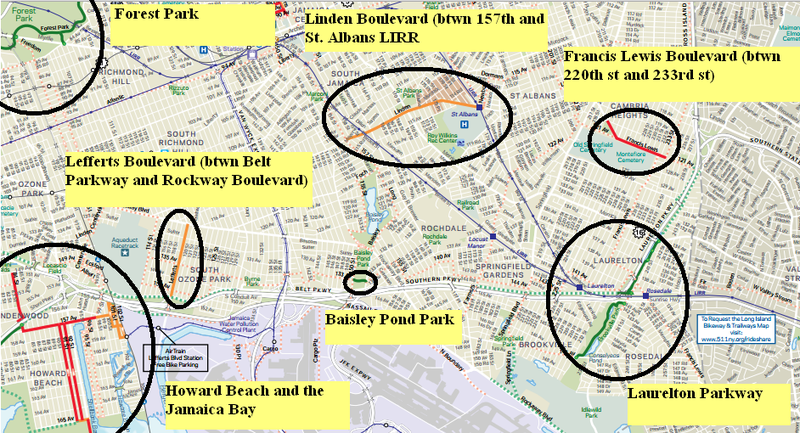 There’s been a lot of talk lately surrounding the QueensWay, the High Line-esque linear park and cultural greenway proposed for a 3.5-mile stretch of abandoned railway in central Queens, but there’s another planned greenway in Queens that’s also making headlines. 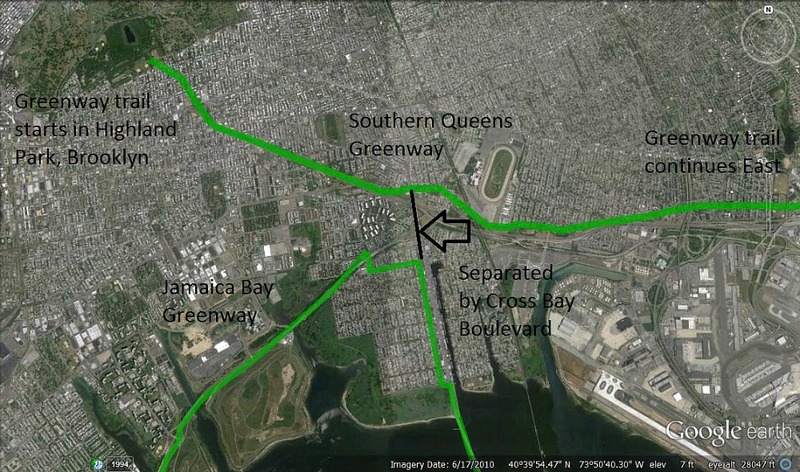 The proposed 32-mile path known as the Southern Queens Greenway would connect portions of Brooklyn with parks in southeast Queens, and a local group of cyclists is now petitioning for this vision to be realized. To date, small portions of the greenway have been built in Highland and Brookville parks, but now local cyclists are spearheading a petition for the remainder of this 15-years-in-the-making plan to be completed. Daniel Solow, one of the cyclists who is heading up the effort, wants to garner support from local elected officials and community boards and then conduct a feasibility study. Solow lives in Long Island and hopes that he’ll one day be able to bike from his home all the way to Manhattan. Currently the petition has 93 signatures, just seven away from its goal.